In the first few weeks of the war confusing news about Bradford men at the front caused families a great deal of anxiety. 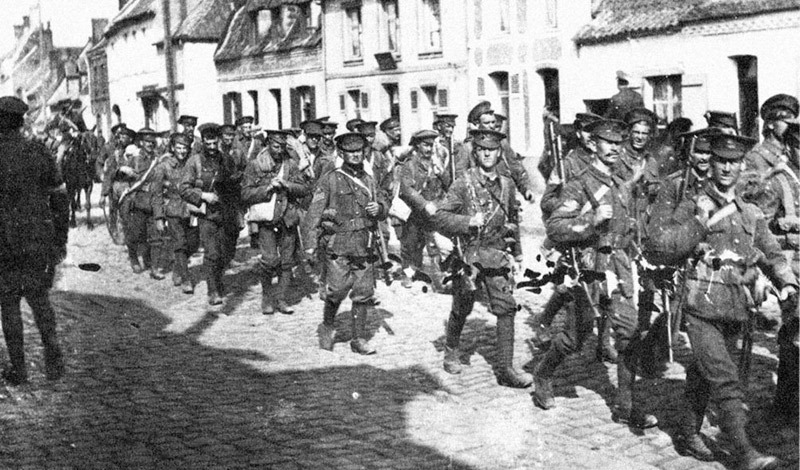 Ill-preparedness on the part of the War Office and the haste with which the BEF had entered battle had left little time for secure communications to be put in place. On 3 September Captain CH Ackroyd, son of the Bradford woolcombing family, was described as ‘the first known Bradfordian to fall in battle’. 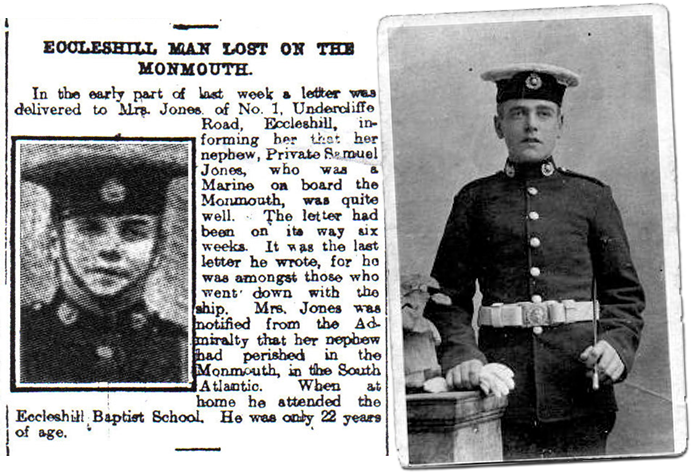 In fact he was one of numerous men who had been taken as a Prisoner of War on 23 August 1914. He was only repatriated in January 1919 and, at long last, awarded the Military Cross for his gallantry during the Battle of Mons. He died in Suffolk in 1960 at the age of 73. 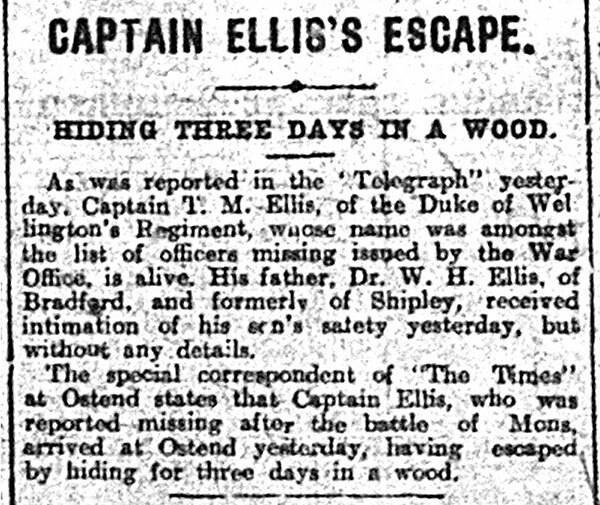 In the same newspaper, Captain TM Ellis, son of a Manningham doctor and a veteran of the Boer War, was described as ‘Missing’ but on 8 September his escape and safe arrival in Ostend is reported. 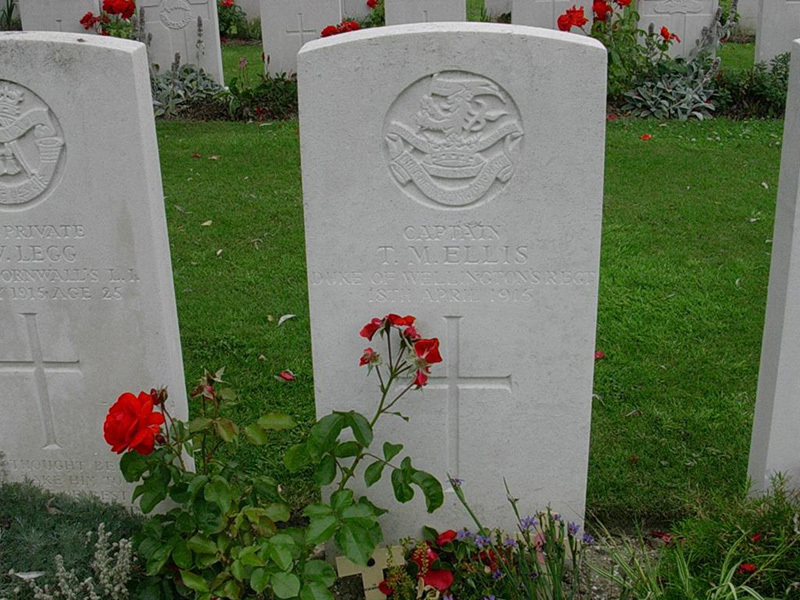 Captain Ellis continued to serve but died in April 1915 and is buried near Ypres. Tom Thwaites of Keighley provided the Telegraph with a lively account of how he escaped despite a shrapnel wound in the thigh. Thwaites, “a smart looking young fellow with a pleasant countenance” was transferred to the Royal Defence Corps and later was discharged with a Silver War Badge. Harriet Gilmour of 121 de Grey Street received two cheerful postcards from her husband who was in Rollin Hospital, but between the two came a telegram to say he had died from wounds. It was true: Hugh Hay Gilmour died on 2 September and is buried in City of Paris Cemetery, Pantin. 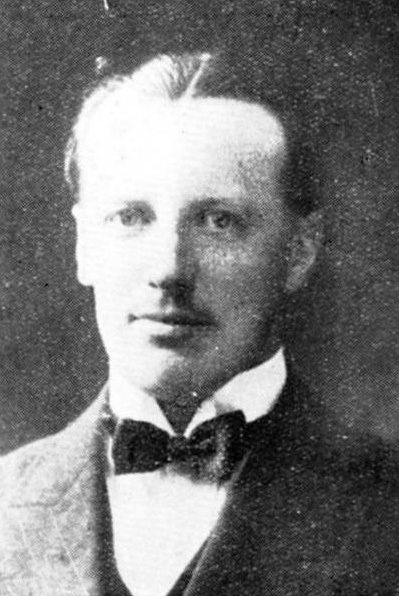 Charlotte Heaton’s husband, William, was a reservist in the Rifle Brigade. He crossed to France on 8 September but a month later he was dead. 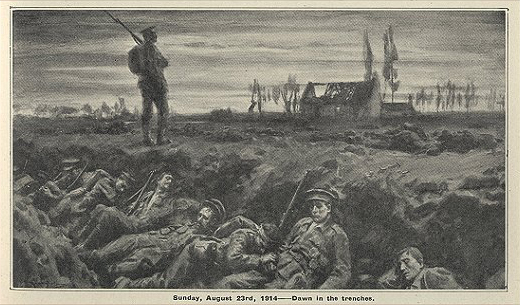 As soon as the war was over Charlotte visited his grave in Belgium. There was less uncertainty about naval casualties: when a ship was torpedoed survival was almost impossible. 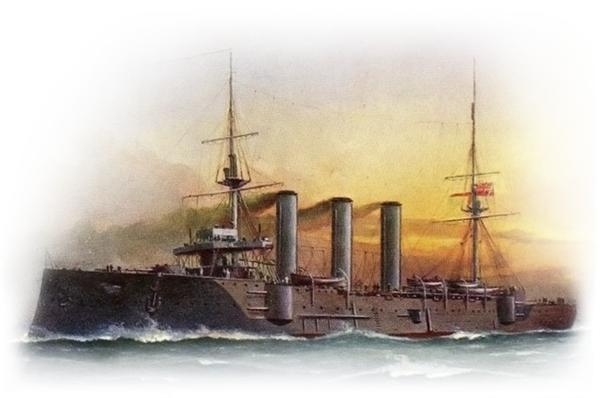 Sam Jones’s optimistic letter took 6 weeks to reach home but by that time the Monmouth, and its sister ship the Good Hope, had been sunk off the coast of Chile in the Battle of Coronel with 1600 lives lost. Sam had put to sea on 1 August when Churchill mobilised the Royal Navy. He is remembered on the Eccleshill and Coronel Memorials. Francis Garside (Laisterdyke), Fred Hartley (Clayton), Wm F Maw (Durham Road), JA Smith (Elizabeth Street), George A Storey (Princeville), RH Henderson (Bramley Street) and John Stephens (City Road) are just a few of the other Bradford men lost at sea in these early weeks.